Increasingly, our clients are seeking out alternative delivery methods for their projects (Design-Build, P3, CMAR). These methods have different implications for architects, and the demands on the design team are different for each. This forum will focus on Design-Build and P3, as they differ significantly from the traditional Design-Bid-Build delivery method. The objective of this discussion is to help architects understand the role they will be asked to play on these projects, and how they can better position themselves to win and execute this work. Mr. Cohen created the Special Projects division to provide much needed innovation in government systems. He is a leader in the field of Public Private Partnerships (P3) and has delivered capital projects in excess of $500M for the County of Los Angeles. All these Special Projects have set milestones in terms of cost efficiency, time of delivery and protections to the public sector. 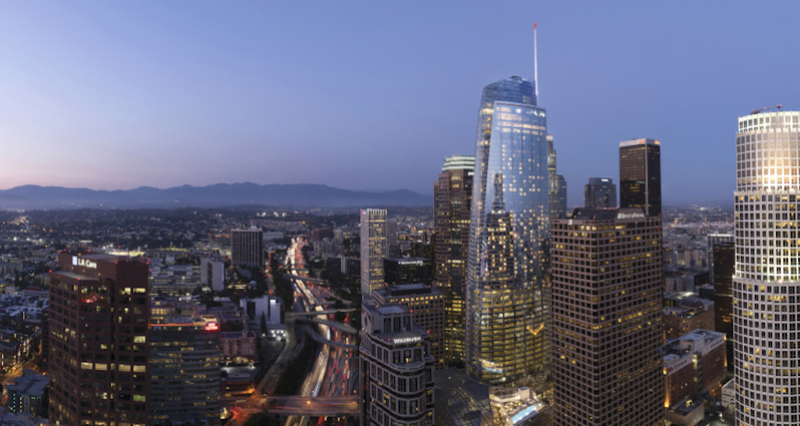 Vermont Corridor is a $435 million capital project incorporating seven County-owned parcels spanning three city blocks of the Koreatown area within the City of Los Angeles. Vermont Corridor was born of a 20 year long effort by the County to replace a 200,000 sq. ft., County occupied office tower. Mr. Cohen envisioned and spearheaded an effort that placed the project under contract in 18 months. Honor Ranch – Pitchess Detention Center is a sustainable net–zero project which encompasses over 2,800 acres of County-owned land and incorporates four separate development scenarios; renewable power generation, water reclamation, land development and replacement of a 40 MGW Co-generation plant. This project will focus on revenue as a primary funding source, as opposed to routine municipal debt financing. This innovative approach will produce higher project yields for then typical US infrastructure projects and as a result it will become a template to attract sovereign funds. The goal is to reduce Government reliance on debt funding. The Los Angeles County Bioscience Initiative is an effort to create a regional economy of biosciences by utilizing five County-owned medical campuses, valued in excess of $2B, as anchors to spur growth of the bioscience firms. A practicing architect and a lecturer in Professional Practice at UCLA’s Department of Architecture and Urban Design, Todd is also a Principal Project Planner specializing in Green Building at UCLA Capital Programs. Todd works with Design Teams on construction projects throughout the campus to help them achieve UC Sustainability goals, involving a range of project delivery systems and success with over 40 LEED certifications. As the Architect Licensing Advisor for UCLA, Todd helps emerging professionals navigate the path to Licensure, and also advises the AIAS student group on campus. A discussion about what this means for architects, i.e., totally different operating environment, risks in pursuit phases, stakeholders, the architect’s client is different than the project beneficiaries and what this means, phase permitting and construction, accelerated schedules, the architect’s role in these alternative delivery environments, and how can architects position themselves to get on teams. SBE implications and opportunities for smaller firms to participate. 8:30am – Q&A and interactive discussion. The mission of the AIA|LA Practice Committee is to advance the knowledge and skills of architects and young professionals, to enable a better understanding of, and ability to adapt to, the changing landscape in a rapidly evolving industry. Today’s design and construction industry must grapple with rapid technological change in the tools and process of design, project delivery methods, construction techniques and processes, and new and constantly changing building materials, products and systems. Parallel to these rapid technological changes, changes in the economic, environmental, governmental and legal environment, and life style changes, add additional and challenging layers of complexity to the design and construction process, all of which impact our practices in ways that are not readily apparent. Our goal is for the AIA|LA Practice Committee to be a forum for discussion, thinking, and sharing of information and ideas, to help architects adapt and evolve their practice and manage risk in this complex and fast changing environment. Our meetings will be quarterly and will address both new and cutting edge developments as well as a review and reexamination of existing practices, focusing on how to work better, smarter, and avoid or mitigate and manage risk. Membership will be open to practicing architects, allied professionals, contractors, subcontractors and others involved in the design and construction industry. We are looking for talented and forward thinking professionals in the design and construction industry to participate in the meetings and contribute to the advancement of our collective practice. We appreciate and encourage suggestions for topics.